We design plano–concave silicon lenses with coupled gradient-index plasmonic metacoatings for ultrawide apertured focusing utilizing a reduced region of ∼20λ2. The anomalous refraction induced in the planar input side of the lens and in the boundary of the wavelength-scale focal region boosts the curvature of the emerging wavefront, thus significantly enhancing the resolution of the tightly focused optical wave. The formation of a light tongue with dimensions approaching those of the concave opening is here evidenced. This scheme is expected to have potential applications in optical trapping and detection. C. G. Parazzoli, R. B. Greegor, J. A. Nielsen, M. A. Thompson, K. Li, A. M. Vetter, M. H. Tanielian, and D. C. Vier, “Performance of a negative index of refraction lens,” Appl. Phys. Lett. 84, 3232–3234 (2004). P. Vodo, P. V. Parimi, W. T. Lu, and S. Sridhar, “Focusing by planoconcave lens using negative refraction,” Appl. Phys. Lett. 86, 201108 (2005). B. D. F. Casse, W. T. Lu, Y. J. Huang, and S. Sridhar, “Nano-optical microlens with ultrashort focal length using negative refraction,” Appl. Phys. Lett. 93, 053111 (2008). J. Xu, Y. Zhong, S. Wang, Y. Lu, H. Wan, J. Jiang, and J. Wang, “Focus modulation of cylindrical vector beams by using 1D photonic crystal lens with negative refraction effect,” Opt. Express 23, 26978–26985 (2015). M. Beruete, M. Navarro-Cía, M. Sorolla, and I. Campillo, “Planoconcave lens by negative refraction of stacked subwavelength hole arrays,” Opt. Express 16, 9677–9683 (2008). M. Navarro-Cía, M. Beruete, M. Sorolla, and N. Engheta, “Lensing system and Fourier transformation using epsilon-near-zero metamaterials,” Phys. Rev. B 86, 165130 (2012). H. Gao, J. K. Hyun, M. H. Lee, J.-C. Yang, L. J. Lauhon, and T. W. Odom, “Broadband plasmonic microlenses based on patches of nanoholes,” Nano Lett. 10, 4111–4116 (2010). S. Ishii, V. M. Shalaev, and A. V. Kildishev, “Holey-metal lenses: sieving single modes with proper phases,” Nano Lett. 13, 159–163 (2013). C. Ma and Z. Liua, “A super resolution metalens with phase compensation mechanism,” Appl. Phys. Lett. 96, 183103 (2010). A. Ahmadi, S. Ghadarghadr, and H. Mosallaei, “An optical reflectarray nanoantenna: the concept and design,” Opt. Express 18, 123–133 (2010). Y. Huang, Q. Zhao, S. K. Kalyoncu, R. Torun, Y. Lu, F. Capolino, and O. Boyraz, “Phase-gradient gap-plasmon metasurface based blazed grating for real time dispersive imaging,” Appl. Phys. Lett. 104, 161106 (2014). P. Wróbel, J. Pniewski, T. J. Antosiewicz, and T. Szoplik, “Focusing radially polarized light by a concentrically corrugated silver film without a hole,” Phys. Rev. Lett. 102, 183902 (2009). N. Yu, P. Genevet, F. Aieta, M. A. Kats, R. Blanchard, G. Aoust, J.-P. Tetienne, Z. Gaburro, and F. Capasso, “Flat optics: controlling wavefronts with optical antenna metasurfaces,” IEEE J. Sel. Top. Quantum Electron. 19, 4700423 (2013). A. Epstein and G. V. Eleftheriades, “Huygens’ metasurfaces via the equivalence principle: design and applications,” J. Opt. Soc. Am. B 33, A31–A50 (2016). L. Verslegers, P. B. Catrysse, Z. Yu, and S. Fan, “Planar metallic nanoscale slit lenses for angle compensation,” Appl. Phys. Lett. 95, 071112 (2009). S. Ishii, A. V. Kildishev, V. M. Shalaev, K.-P. Chen, and V. P. Drachev, “Metal nanoslit lenses with polarization-selective design,” Opt. Lett. 36, 451–453 (2011). A. Arbabi, Y. Horie, A. J. Ball, M. Bagheri, and A. Faraon, “Subwavelength-thick lenses with high numerical apertures and large efficiency based on high-contrast transmitarrays,” Nat. Commun. 6, 7069 (2015). S. J. Byrnes, A. Lenef, F. Aieta, and F. Capasso, “Designing large, high-efficiency, high-numerical aperture, transmissive meta-lenses for visible light,” Opt. Express 24, 5110–5124 (2016). F. Aieta, P. Genevet, M. Kats, and F. Capasso, “Aberrations of flat lenses and aplanatic metasurfaces,” Opt. Express 21, 31530–31539 (2013). J. Rho, Z. Ye, Y. Xiong, X. Yin, Z. Liu, H. Choi, G. Bartal, and X. Zhang, “Spherical hyperlens for two-dimensional sub-diffractional imaging at visible frequencies,” Nat. Commun. 1, 143 (2010). Y. A. Barnakov, N. Kiriy, P. Black, H. Li, A. V. Yakim, L. Gu, M. Mayy, E. E. Narimanov, and M. A. Noginov, “Toward curvilinear metamaterials based on silver-filled alumina templates,” Opt. Mater. Express 1, 1061–1064 (2011). D. Lu and Z. Liu, “Hyperlenses and metalenses for far-field super-resolution imaging,” Nat. Commun. 3, 1205 (2012). M. Naserpour, C. J. Zapata-Rodríguez, A. Zakery, and J. J. Miret, “Highly localized accelerating beams using nano-scale metallic gratings,” Opt. Commun. 334, 79–84 (2015). M. Naserpour, C. J. Zapata-Rodríguez, A. Zakery, C. Díaz-Aviñó, and J. J. Miret, “Accelerating wide-angle converging waves in the near field,” J. Opt. 17, 015602 (2015). M. Naserpour, C. J. Zapata-Rodríguez, A. Zakery, and J. J. Miret, “Light capsules shaped by curvilinear meta-surfaces,” Appl. Phys. B 120, 551–556 (2015). C.-P. Huang, “Efficient and broadband polarization conversion with the coupled metasurfaces,” Opt. Express 23, 32015–32024 (2015). X. Yi, X. Ling, Z. Zhang, Y. Li, X. Zhou, Y. Liu, S. Chen, H. Luo, and S. Wen, “Generation of cylindrical vector vortex beams by two cascaded metasurfaces,” Opt. Express 22, 17207–17215 (2014). V. Torres, B. Orazbayev, V. Pacheco-Peña, J. Teniente, M. Beruete, M. Navarro-Cía, M. S. Ayza, and N. Engheta, “Experimental demonstration of a millimeter-wave metallic ENZ lens based on the energy squeezing principle,” IEEE Trans. Antennas Propag. 63, 231–239 (2015). M. Naserpour, C. J. Zapata-Rodríguez, C. Díaz-Aviñó, M. Hashemi, and J. J. Miret, “Ultrathin high-index metasurfaces for shaping focused beams,” Appl. Opt. 54, 7586–7591 (2015). D. Lin, P. Fan, E. Hasman, and M. L. Brongersma, “Dielectric gradient metasurface optical elements,” Science 345, 298–302 (2014). F. Qin, L. Ding, L. Zhang, F. Monticone, C. C. Chum, J. Deng, S. Mei, Y. Li, J. Teng, M. Hong, S. Zhang, A. Alù, and C.-W. Qiu, “Hybrid bilayer plasmonic metasurface efficiently manipulates visible light,” Sci. Adv. 2, e1501168 (2016). S. M. Rytov, “Electromagnetic properties of a finely stratified medium,” Sov. Phys. J. Exp. Theor. Phys. 2, 466–475 (1956). E. Popov and S. Enoch, “Mystery of the double limit in homogenization of finitely or perfectly conducting periodic structures,” Opt. Lett. 32, 3441–3443 (2007). P. Yeh, Optical Waves in Layered Media (Wiley, 1988). J. Elser, V. A. Podolskiy, I. Salakhutdinov, and I. Avrutsky, “Nonlocal effects in effective-medium response of nanolayered metamaterials,” Appl. Phys. Lett. 90, 191109 (2007). L. Martín-Moreno, F. J. García-Vidal, H. J. Lezec, K. M. Pellerin, T. Thio, J. B. Pendry, and T. W. Ebbesen, “Theory of extraordinary optical transmission through subwavelength hole arrays,” Phys. Rev. Lett. 86, 1114–1117 (2001). W. Chen, M. D. Thoreson, S. Ishii, A. V. Kildishev, and V. M. Shalaev, “Ultra-thin ultra-smooth and low-loss silver films on a germanium wetting layer,” Opt. Express 18, 5124–5134 (2010). C. Díaz-Aviñó, D. Pastor, C. J. Zapata-Rodríguez, M. Naserpour, R. Kotyński, and J. J. Miret, “Some considerations on the transmissivity of trirefringent metamaterials,” J. Opt. Soc. Am. B 33, 116–125 (2016). J. Shin, J.-T. Shen, and S. Fan, “Three-dimensional metamaterials with an ultrahigh effective refractive index over a broad bandwidth,” Appl. Phys. Lett. 102, 093903 (2009). M. Choi, S. H. Lee, Y. Kim, S. B. Kang, J. Shin, M. H. Kwak, K.-Y. Kang, Y.-H. Lee, N. Park, and B. Min, “A terahertz metamaterial with unnaturally high refractive index,” Nature 470, 369–373 (2011). S. Lee, “Colloidal superlattices for unnaturally high-index metamaterials at broadband optical frequencies,” Opt. Express 23, 28170–28181 (2015). Y. Huang, Q. Zhao, S. K. Kalyoncu, R. Torun, and O. Boyraz, “Silicon-on-sapphire mid-IR wavefront engineering by using subwavelength grating metasurfaces,” J. Opt. Soc. Am. B 33, 189–194 (2016). E. Mudry, E. L. Moal, P. Ferrand, P. C. Chaumet, and A. Sentenac, “Isotropic diffraction-limited focusing using a single objective lens,” Phys. Rev. Lett. 105, 203903 (2010). 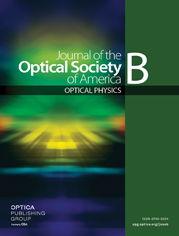 M. Hashemi, A. Moazami, M. Naserpour, and C. J. Zapata-Rodríguez, “A broadband multifocal metalens in the terahertz frequency range,” Opt. Commun. 370, 306–310 (2016). Fig. 1. Schematics based on optical rays of the focusing action of plano–concave dielectric lenses. (a) Transparent dielectrics with an index of refraction higher than unity lead to a diverging configuration. (b) An epsilon-near-zero metamaterial enables us to focus light at the center of curvature of the concave surface. (c) An increased numerical aperture is attained by using negative-index metamaterials. (d) Our proposal based on coupled metacoatings set at the entrance and exit surfaces of a transparent dielectric thick lens. A focused beam of semiaperture angle Ω will be generated by passing through the gradient-index flat metasurface. The converging wave field propagating inside the lens will be refocused at F ′ by means of the active curved metacoating, having an increased semiaperture angle Ω ′ . Fig. 2. (a) Intensity distribution | H | 2 generated by a nonuniform surface current with modulated phase distribution given by Eq. (3) and set at the front surface of a plano–concave Si lens (sketched in white solid line), mimicking the effect of the designer metacoating. In (b) we set the surface current with phase distribution given by Eq. (4) at the back surface of the Si lens. Normalized intensity of the magnetic field in the focal volume of the flat (cylindrical) surface current, represented in green solid lines (red dashed lines) as measured along (c) the x -axis and (d) the y -axis. On-axis resolution critically improves with an active cylindrical surface while transverse resolution does not change significantly. Fig. 3. Effective index of refraction evaluated with Eq. (5) for a gold-silicon periodic medium at a wavelength of λ = 800 nm . Silicon layers are set with a fixed width w d = 15 nm . The metal filling fraction is governed by the Au films width w m .
Fig. 4. Phase shift gained by a TM-polarized plane wave traversing through an Au-Si metacoating of thickness d = 100 nm , as set in an air/silicon plane interface. For simplicity, we represent the phase shift in an interval ranging from − π to π . The slit width of the periodic nanostructure is fixed at w d = 15 nm and we vary the metal width w m . In (a) the beam impinges from air, and in (b) from silicon. The red dashed line establishes the phase shift measured for an all-dielectric coating ( w m = 0 ). Red squares illustrate that metamaterials with w m = 9 , 15, and 23 nm producing incremental phase shifts of approximately π / 2 rad with respect to a nonconducting film. Fig. 5. Transmittance (T), reflectance (R), and absorptance (A) calculated for Au-Si metacoatings as described in Fig. 4, varying the width w m of the metallic wires. The beam impinges from (a) air and from (b) Si. Fig. 6. Transmittance of metallic nanostructures with different Au wire width w m as a function of thickness d of the metacoating, calculated at a wavelength λ = 800 nm . Here we set w d = 15 nm . Fig. 7. FEM-based numerical simulations showing the intensity of the magnetic field when a monochromatic TM-polarized plane wave passes through a Si plano–concave lens of radius R = 3 μm and vertex distance of 200 nm: (a) without metacoatings, (b) including a single metacoating set on the flat front surface, and (c) with coupled metacoatings lying on the front and back surfaces of the lens. (d) Close-up of patterned Au nanoslit arrays in the flat (top) and concave (bottom) surfaces of the Si lens. Fig. 8. Intensity distribution produced in the focal region of a Si plano–concave lens including metacoatings with different arrangements of elementary metal–dielectric gratings. (a) A metallic grating of period Λ 3 = 38 nm is used at the central zone of both metacoatings. Alternatively, we use an all-dielectric central zone for one metacoating and a metallic grating of period Λ 3 in the center of (b) the cylindrical metacoating, and (c) the front flat metacoating. In (d) we reproduce Fig. 7(c), where the central zone of both metacoatings has no metallic components, but here using the same color map of previous subfigures. Fig. 9. Intensity distribution of focal waves produced by tilted TM-polarized plane waves with angles (a) θ = 5 ° , (b) 10°, and (c) 15°, all measured with respect to the optical axis y = 0 . Fig. 10. Intensity of the magnetic field in the focal region of a metacoated Si plano–concave lens of radius R = 2 μm , setting the focal shift parameter as a = 1 μm . (6) t = τ 12 τ 23 exp ( i k n eff d ) 1 − ρ 21 ρ 23 exp ( 2 i k n eff d ) .